The Tax Identification Number (TIN) is very important for all taxpayers, whether you personally own a business or work for some company. This is one of the top requirements for starting a business, no matter what business you may be involved in – on or before you start your operations! The issuance of TIN is free of charge. Different entities might require different TINs; thus, it is advisable that you bring all necessary documents pertinent to your business and your company before you head off to the Bureau of Internal Revenue (BIR). There are two ways you can apply for the TIN. The usual method is going to the nearest BIR to file your application but many are now using the second method because it is more convenient: Online Registration! Click here for the link to BIR’s online TIN registration. Server errors are known to occur because of the high volume of users; thus, we advise you to be patient and re-check after a couple of minutes for the link to be available. It this online option does not work for you, better apply for the number at a physical BIR office. For more information, check out the comprehensive guide released by BIR: Index for Application for Taxpayer Identification Number (TIN). Although separate TINs are issued for companies owned by individuals and corporations, only one TIN must be used by the same company or individual. Remember, it is a criminal offence to own more than one TIN! So, if you have forgotten what your TIN is, do not apply for a new one! Simply call BIR trunkline at (02) 981-8888. 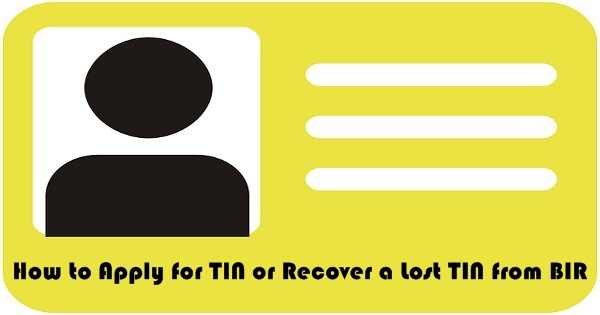 You need to provide the BIR personnel on the line with pertinent information like your complete name and birthday before you are given your lost TIN.